Seattle has over 90 unique neighborhoods. 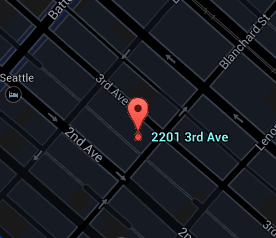 The location of Grandview is in the area known as Belltown. Every building has its own personality and attributes. The community is an important aspect of city living and can have an impact on how integrated it is with the residences. The Grandview building features can be explored here. A full list of amenities within the complex is displayed to help understand the offerings of the project. Isolated from other high-rise communities, it would be difficult to find a unit at the Grandview without commanding city and Puget Sound views. When it was constructed in 1979, the building combined suburban amenities with city living. The building boasts an on-site manager, a secure lobby entrance, an indoor pool, jacuzzi, sauna, club room and a fitness center. In addition, there is a large, 5th floor community patio for all residents to enjoy. Grandview is certainly a prime example of a classic Seattle high-rise. It was built in 1979 and is situated just a short walk from the Downtown Seattle shopping core. The Grandview residences feature large windows and spacious patios. All active, contingent, pending, and sold listings for the Grandview building. The Stroupe Group specializes in downtown Seattle condominiums. All the articles that have been published by the Stroupe Group concerning Grandview and Belltown can be found here.